Have you ever thought of something that would really improve your workflow, but you just don’t have the skills to make it? Request for Startup is a service that brings all these ideas together into one curated feed. Twitter users can send an idea to @Request4Startup for a chance to be featured on the site. Ideas can get voted on either from the site itself, or via faves/retweets on Twitter. The highest-voted ideas naturally rise to the top for extra visibility. Then talented developers can check out the list and pick out cool ideas that seem worth building. You can sort by newest ideas, currently trending ideas, and the top ideas of all-time. This gives everyone a chance to get noticed and (hopefully) see some cool stuff added into the world. Check out the Request for Startup homepage to see recent ideas or sign up for the weekly newsletter. Folks who want in on the action should fire out a tweet to @Request4Startup to see if their idea can get listed on the website. If you’re on Ubuntu this will be the Ubuntu Font. If you’re on Yosemite this will be Helvetica. If you’re on El Capitan this will be San Francisco. If you’re on Microsoft this will be Segoe UI. HTML preprocessors like Haml make coding items a breeze. However the hard-coding aspect of HTML is never fun – it’s not hard but rather mundane and monotonous. While a webapp can’t automate the whole process, Listify can help when building HTML lists. You simply input a raw text list of items and choose an ordered/unordered list format. You’ll also be able to specify if each list item should have an ID or various classes. You can choose spacing counts for indentations along with many other similar settings. The Listify webapp is actually hosted for free on a GitHub project page. Anyone is free to fork the Listify repo or download a full copy for their local web server. If you want to try it out just visit the Listify page and give it all you’ve got. While it is rather simple, it’s also an incredible piece of automation for frontend developers who constantly find themselves transcribing Word documents into HTML. Why can’t you make chicken salad out of this? Mobile Design Book of 21 Topics, 40+ Apps Explored – only $9! Font Combiner is a free web tool used to customize, reuporpose, and publish fonts to get them ready for use on the web. Users have access to 100+ different free web fonts that are ready for customization. All you have to do is set your own parameters and publish the font files. Each creation will export all the necessary items for including within a CSS file. A versatile web font creator and font improvement tool exposing advanced font features to the end user – kerning, subsetting, various hinting options and custom font glyph combinations. This can be an excellent choice for anyone who wants to craft their own webfonts without any worry of licencing issues. To learn more & try it out just visit the app homepage or follow the latest updates on Twitter @FontCombiner. There are dozens of great websites to check for new web design jobs. Unfortunately this can be tedious, and tedium breeds mediocrity. 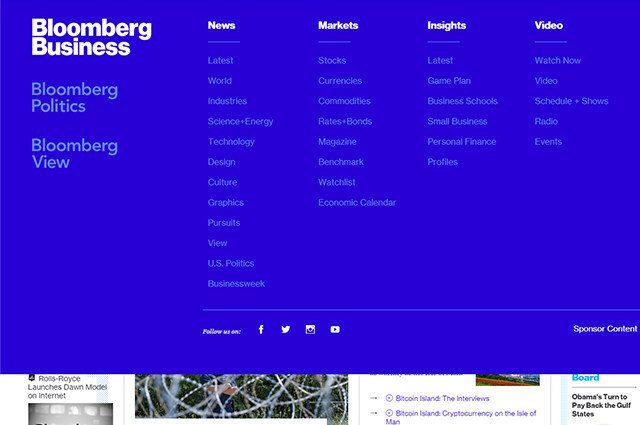 Instead of checking out a dozen websites you can just visit DSGN JBS. This is an automated curation of new design jobs as they’re posted all over the web. The feed pulls from large job boards like Dribbble, Authentic Jobs, Behance, Designer News, and more. The site is updated daily with fresh jobs both freelance & full-time. Each job listing includes the location & title while linking out to the original source. DSGN JBS is not exactly a job board in itself, but rather a collection of openings from the best boards online. However DSGN JBS has a new listing feature where companies can post a job listing for 30 days exclusively on the DSGN JBS website. This is a great way to bring exposure along with the many other services online. If you want to learn more visit the DSGN JBS homepage. You can also get a feed of new jobs by following the official Twitter account @dsgnjbs. The GOTO Berlin conference is a yearly event held all around the world. It’s a place for like-minded folks to gather and share ideas between software developers, engineers, architects, and project managers. Folks who plan on attending the GOTO Berlin event in 2015 should order their tickets ASAP. While it is a big event it’s also limited to 3 days and tickets will likely sell out fast. GOTO runs from December 2nd-4th with a split between workshops and presentations. December 2nd is a full workshop day with topics like software analytics and graphing programs. The 3rd & 4th have more presentations and periods for chatting with other atendees. Take a look at the full schedule to get an idea of the topics being presented. Those who won’t be able to make it can always stay up-to-date with social posts on Twitter @GOTOber. Or you can always check out past videos from the GOTO Berlin 2014 conf in a free YouTube playlist. Other HTML elements are used as well. For example, the „“ element is used to declare the release date of an article.